We specialise in the development of custom software applications, with our expert knowledge and experience of technology components, software tools, application integration techniques, and multi-platform environments, we create optimal business applications that meet your business and technology needs. We can help map your business needs and create a usable, fit for purpose business application. We can provide application customisation, integration of third-party software, development of content management systems, intranets, extra-nets, internationalisation and localisation of web applications, e-enablement of legacy applications and upgrading existing business applications. Provide the best technology solutions based on your need and budget! 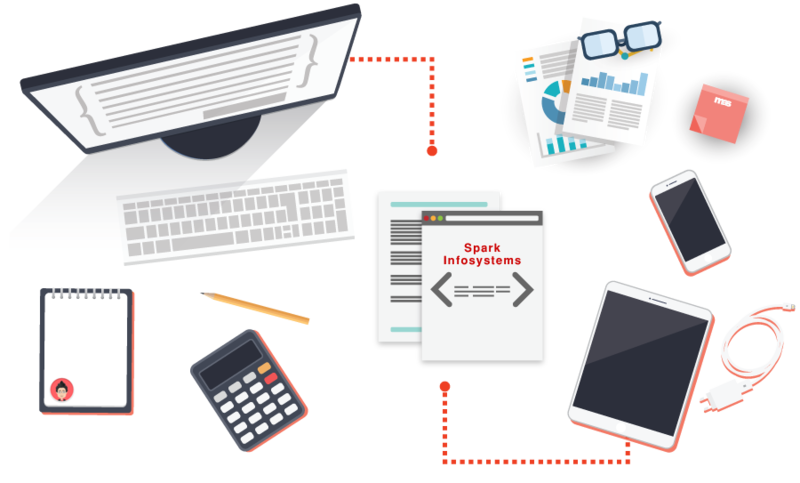 In this digital age, every business seeks to automate and implement systems for every aspect of their business, we at Spark specialized in developing customized applications & software which gel quite well with the specific client demand & needs. These applications respond to the exact needs of our customer business & will enhance productivity & improve profitability. We develop variety of products, applications and tools using Best Practice Methodologies in software design and development to maximally leverage IT for business automation and straight-through-processing. In short, we create Custom Application Design & Development solutions that work today and carry you into the future. impartial advice at an honest price.